Have you ever eaten on a plane? I don’t mean peanuts, snacks you brought aboard, or tray table food. 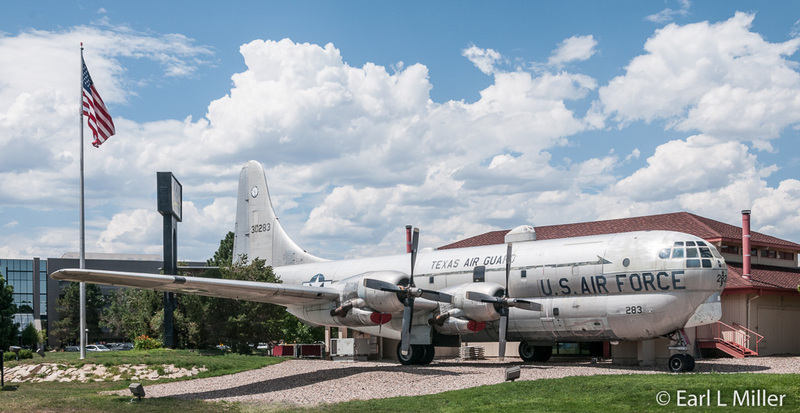 At Colorado’s Springs’ The Airplane Restaurant, you can reserve one of 42-seats and actually eat lunch or dinner aboard an actual Boeing KC-97. It’s the centerpiece of a 275-seat restaurant run by the Kanatzar family. 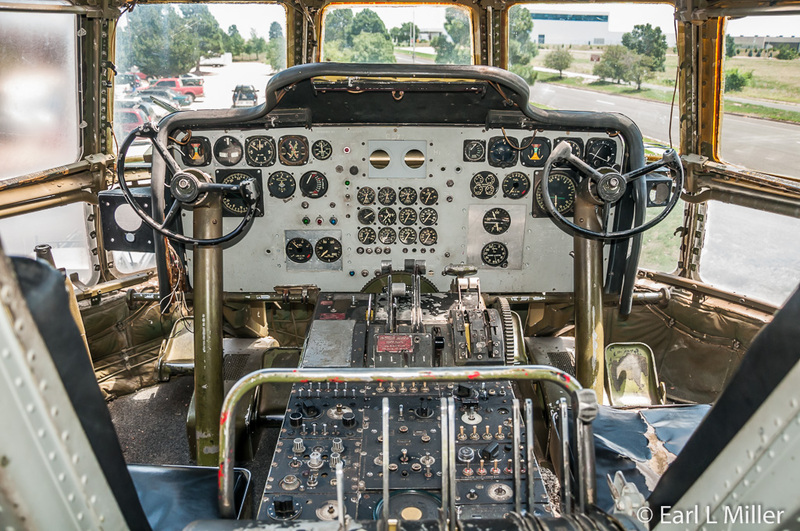 The plane was used from 1955 until 1963, by the 70th Air Refueling Squadron at Little Rock Air Force Base, as a refueling tanker. Then it was transferred to the Texas Air Guard in October 1963 until 1975, which was the last time it flew. The Boeing KC-97 is one of the largest piston aircraft built by Boeing. The Douglas Globemaster is the only American-built piston aircraft that’s larger than the KC-97. However, the Globemaster’s speed is slower and has a smaller payload. Powered by four 4360 Pratt & Whitney engines, the KC-97 was very powerful. The KC-97s first generation, designated the XC-97, first flew November 15, 1944. It was designed to be the first long-range transport with a large upper fuselage. The lower fuselage, common with the B-29, included the wing and tail. Variations of the KC-97 ranged from flight-refueling tankers, troops transport with seating for 80, cargo transport, and a trans oceanic model, 377 Stratocruiser seating 117. The KC-97 at one time was converted to the “L” model. This meant two 5,200 pound thrust, General Electric J-47 turbojects were added which increased the plane’s speed to that compatible with the jets it was refueling. Before its added jets, KC-97s commonly increased speed by entering a shallow dive so the faster planes they were refueling wouldn’t stall. 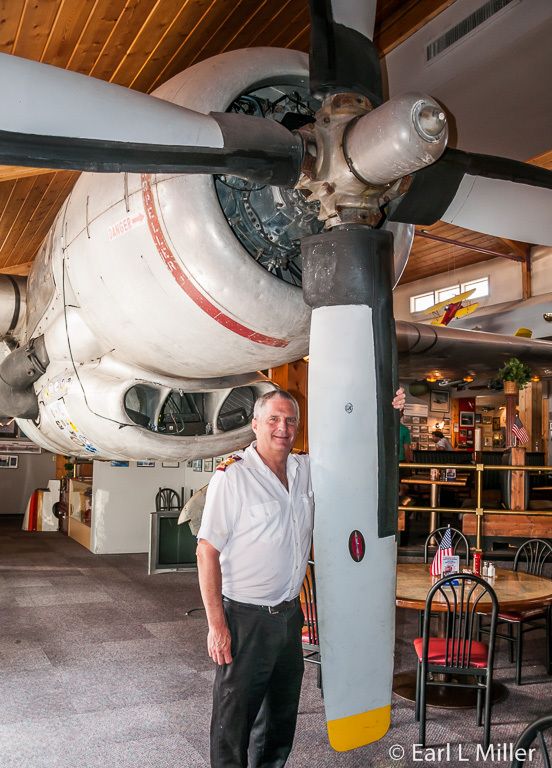 Steve Kanatzar, a native Coloradoan and the restaurant’s managing partner, purchased the plane in Carswell, Texas in 2001. A Cessna and glider pilot, Kanatzar had a long time interest in airplanes and avionic history. “I love flying, and I do restaurant,” he told me. He had it dismantled then brought in pieces by eight semi-trailer trucks to Colorado Springs. 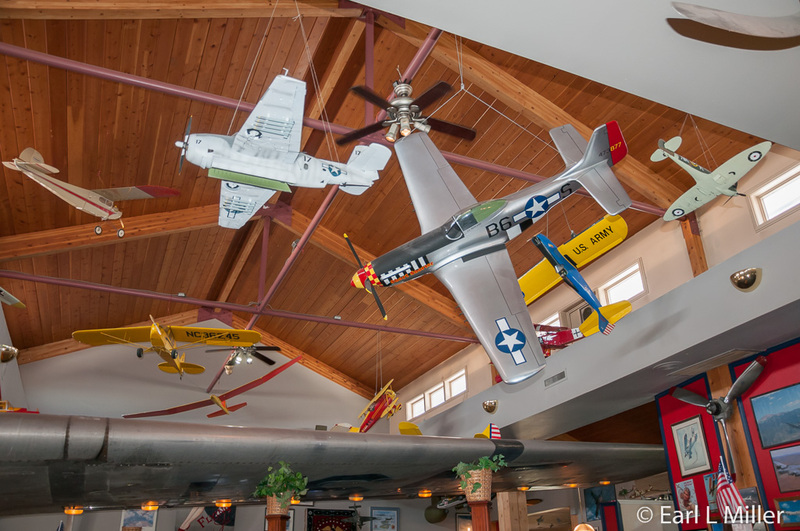 The plane was reassembled, and The Airplane Restaurant opened in May 2002. When you enter The Airplane Restaurant, you are cheerfully greeted with a "Welcome Aboard." Management and serving staff all wear flight uniforms. 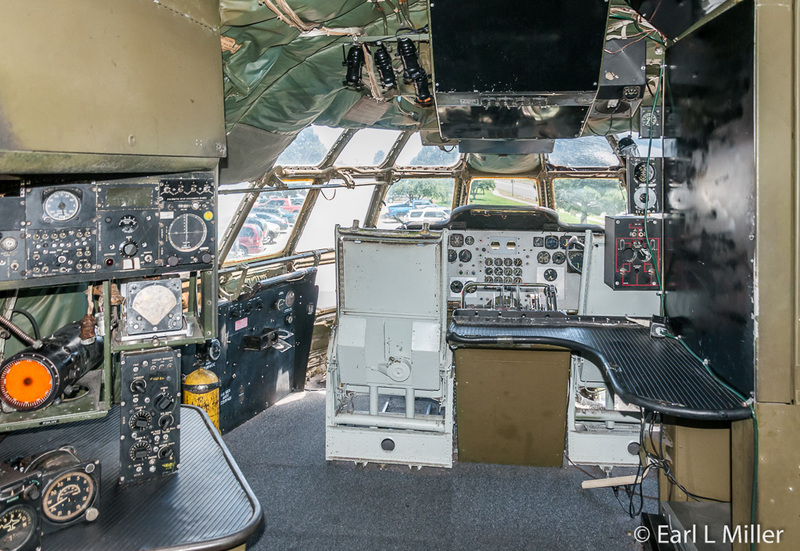 You can either dine downstairs or if they have room, head upstairs to the KC-97's interior. Sandwiches include the Piper Club, Reuben von Crashed, and Philly Flyer. Those are their names respectively for a club sandwich, Reuben, and Philly. Half sandwiches with soup or salad are also available. You have your choice of six burgers, using Black Angus beef, including The Afterburner Burger complete with guacamole, roasted green chile, and pepper cheese. Another choice is the BBQ Bomber Burger with BBQ, hickory smoked bacon, cheddar cheese, and ranch dressing. They also have a bison burger. Salads, pastas, chicken burgers, and entrees round out the lunch menu. We each had a half rack of BBQ baby back ribs where the meat fell off the bones, french fries, and cole slaw. The portions were large and the BBQ sauce had just the right spices. We enjoyed the whole meal and were very pleased with the moderate prices throughout the entire menu. For instance, the ribs were only $12.95. Most luncheon dishes are in the $10-$13 range. Dinners concentrate on salads, pastas, steaks, ribs, seafood and chicken. Again the prices are quite reasonable since they’re between $13.99 and $19.99. Chris, our waiter, was excellent. He brought each of us, without our asking, an empty plate for rib bones and lots of extra napkins with our order. He was also, without hovering, aware of our needs. I temporarily left my seat. Upon my return, my ice tea had been refilled. It’s apparent that this restaurant trains their crew. 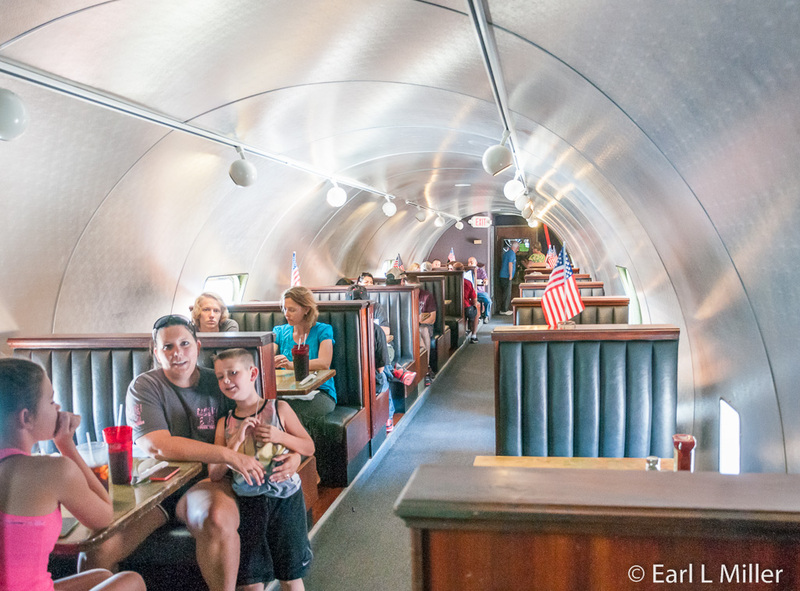 The Airplane Restaurant is open from 11:00 a.m. to 9:00 p.m. Monday through Saturday and noon to 8:00 p.m. on Sunday. It’s located near the airport at 1665 N. Newport Road. Their web site is www.TheAirportRestaurant.com. Before going, call the restaurant at (719) 570-7656 as reservations help guarantee your plane seats. 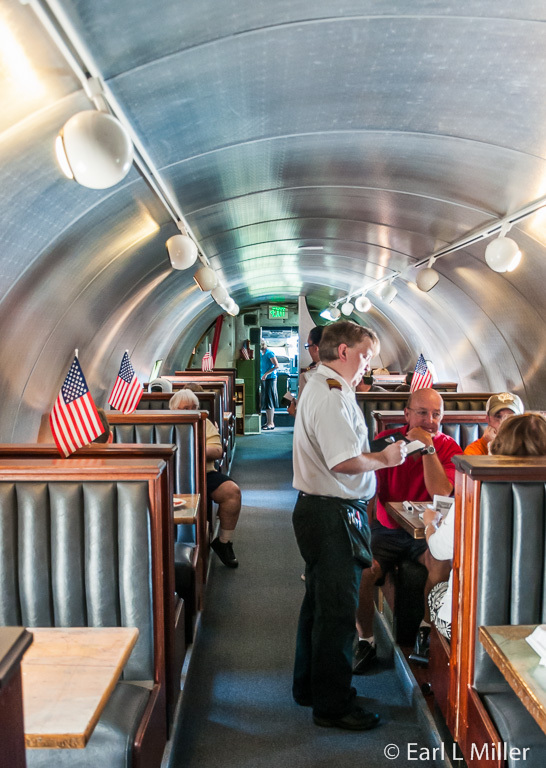 This is the only restaurant where you can eat in an airplane in the United States.